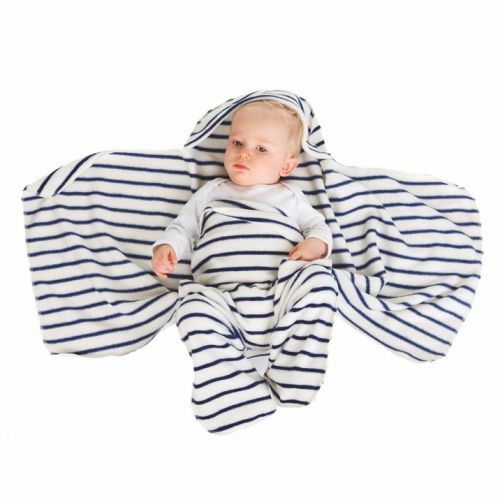 Breton Nod Pod baby blanket with legs (Navy and cream stripe). This is a classic timeless print that is ideal for baby boys and girls. The Nod Pod is perfect as a baby car seat blanket or can be used in the buggy or pram. Our baby blanket with legs makes a perfect baby shower gift or newborn baby gift, check out our reviews from happy parents!